The Chinese Communist Party (CCP) has for decades waged a quiet war against the United States, mobilizing all elements of its society, and targeting all institutions and foundations of the American system. In this war, it is using a series of unconventional warfare tactics designed to achieve the goals of war, without engaging in troop-on-troop combat. Many of these tactics were detailed in the 1999 Chinese military book, “Unrestricted Warfare,” but pull from older deception tactics and from programs that were set in motion by the Soviet Union. The key goal is to win a war without fighting openly, to seize control of a society gradually, to steal an economy, and to use methods to intentionally keep the public distracted and unaware. Among the overarching strategies is the process of subversion. The Soviet Union used subversion to spread its “communist revolution,” and the CCP has adopted many of the same strategies to export its “China model.” Subversion is a process to seize control of a country by destroying religion, morals, traditions, and everything that makes the country function; with the end-goal of bringing the country into a state of chaos, so that the public will support outside intervention to install a new form of government. 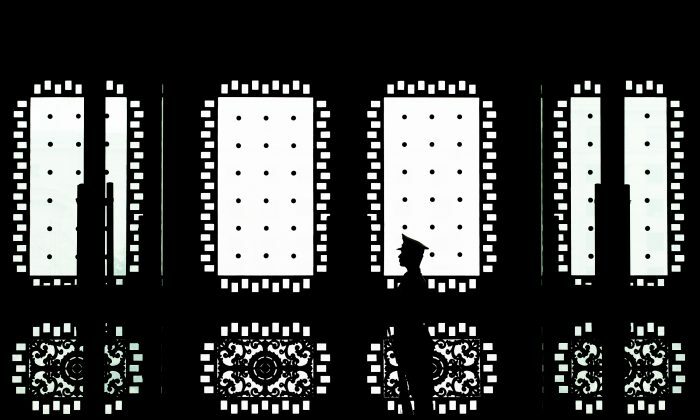 Casey Fleming, CEO of BlackOps Partners Corp., a global intelligence strategy and cyber advisory company, described the CCP’s strategies as a system of “asymmetrical hybrid warfare,” using a combination of unconventional and conventional tactics to achieve any number of goals. At the heart of all these strategies is a central tool of communist regimes used to manufacture issues to push for revolution, known as “dialectical materialism.” The concept works on the three stages to “identify” an issue, “contradicting” it by finding its opposite, then “eliminating the middle” to push people to its two extremes. After the society is divided, the two sides can be driven into conflict, which allows the perpetrator to step in and stabilize or “normalize” the situation. Dialectical materialism can include the promotion of values that contradict a country’s traditional values, and creating labels to attack people who still believe in traditions. Examples include the CCP labeling religious belief as “superstition,” and its use of this label to attack or imprison religious believers. When used abroad, dialectical materialism works as a tool to invert the values of a target country, to form social issues and movements around the inversions, then to use the inversions to drive forward a subversive agenda. 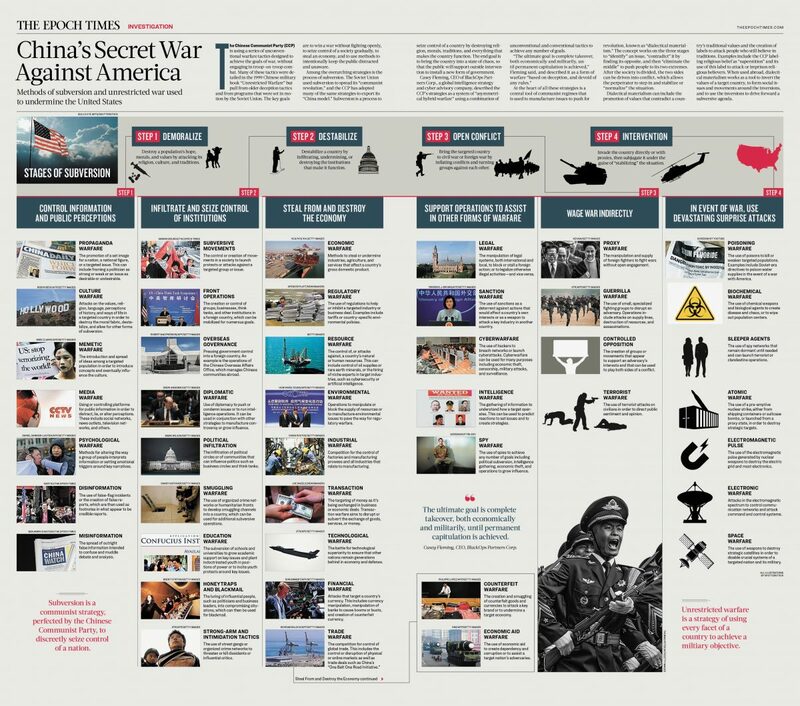 The Epoch Times has laid out the various strategies used in this hidden war in a new infographic, and reveals the uses of each strategy. Among the more than 40 strategies explained are culture warfare to break the moral fabric of a society, cyberwarfare as a tool to achieve its various goals, economic warfare to rob and destroy a country’s economy, and psychological warfare to alter the way people interpret information.